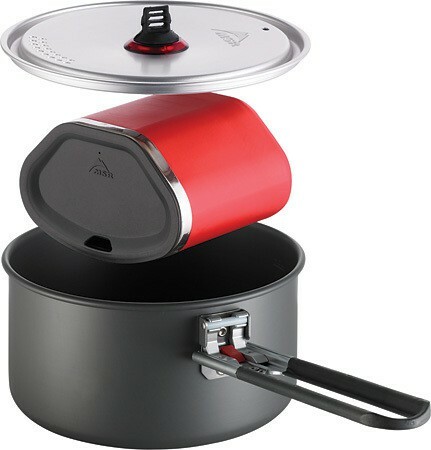 The cookware Quick MSR Solo System is designed for one person. 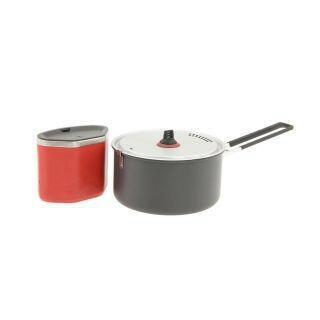 This cooking system lightweight and compact includes: (1) 1.3L Hard anodized aluminum pot, (1) Strainer lid, (1) Insulated stainless steel mug, (1) Talon™ pot handle. 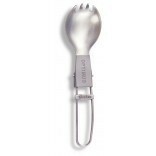 The set is light: 324 grams. 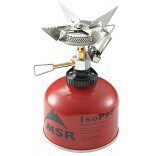 Ultralight: 1.3L capacity for the most basic of cooking tasks to shave ounces from pack weight. Compact: Efficient, nesting design saves valuable pack room.